David Stevens (usually) lives in Sydney, Australia, with his wife and children. 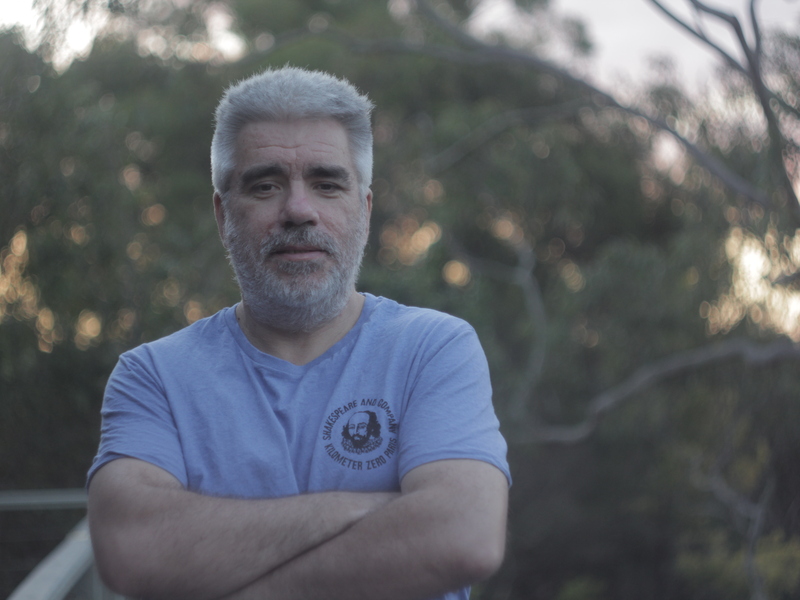 His stories have appeared amongst other places in Crossed Genres, Aurealis, Three-Lobed Burning Eye, Pseudopod, Cafe Irreal, Not One of Us, Kaleidotrope, some Australian literary magazines, and the anthologies ‘Love Hurts’, ‘At the Edge’ and ‘Chthonic’. His short story, ‘My Life as a Lizard’, received an honorable mention in the list of Best Short Fiction of the Year in Clavis Aurea in Apex. One day he will finish his novel. I’ve been blogging in a few places under a nom de guerre, which was all lots of fun, but the years pass and the things I meant to do remain undone, and I realise blogging has become another distraction, or worse, an ersatz alternative to writing fiction, a trick that allows me to think, hey, look at all of the stuff I’ve done. I don’t have another twenty years to fart around. This is it. The answer to that is, obviously, to start another blog. Of course. I’m allowed to post about writing and reading. Any other attempts at creativity or smart arsery, well, they’re for the work itself, not the distractions from the work.